A fully-integrated and scalable platform that delivers meaning about how people make decisions and choices. Gooroo Mindspace is our unique combination of technology and applied neuroscience, designed to release individual and business potential. Mindspace is an Advanced Relational Meaning System (ARMS) representing a method of understanding the process of how people think. The ARMS capability allows us to assess the relationships that exist within people datasets to produce a new insight and meaning. Mindspace has been developed from over 40 years of integrated work led by Dr Colin Benjamin OAM. Built on 21st Century neurological research and sociographic studies of the nature of conscious choices, Mindspace incorporates theory from approximately 100 leading experts, scientists and theorists across the ages; from Plato and Aristotle to Edward deBono, Geert Hofstede, Prof Ronald Inglehart, Prof Bob Mathis, Richard Restak and Dr Colin Benjamin OAM. Understanding the thinking patterns of clients, colleagues and customers increases the sensitivity to their diverse and changing needs. It allows us to identify the hopes and expectations that shape each individual’s attitudes, behaviours, choices, decisions and evaluations. With this information, we can more effectively anticipate the levels of performance required and drivers of satisfaction. Identifying and magnifying the untapped decision support capability of people as they gain experience, expertise and engagement at work and in life provides us with a totally unique, 720⁰ perspective that not only recognises individual growth potential but also informs role, team and company fit, and alignment to messaging. In the future world of work, individuals need to be more flexible, adaptive and responsive to the changes and choices that foster innovation, creativity and entrepreneurism. They need not only to keep up, but get ahead of the game in the future workplace. Accordingly, Gooroo Mindspace provides the direction, clarity and confidence to unlock the pathways to future achievement and higher performance. By understanding an individual’s workstyle we can determine their orientation to doing ‘more of the same’ to approaches that see them transforming their environment to achieve ‘something more valued’ for the enterprise. Gooroo maps an individual’s (or a group’s) orientation towards productivity, solutions, autonomy, change, persuasion and challenge provides a unique insight in to the way they engage in their work and collaborate with others, the requirement to persuade others to take on new ideas and concepts, and the challenge to engage with an increasingly uncertain future to deliver value and growth. The future of work that will be characterised by constant change and innovation, so understanding and building these capabilities will be fundamental to future success for both individuals, enterprises and societies. How the individual approaches problem-solving, and much more. The Gooroo ColourGrid™ is visually represented by a 16 cell grid where each square indicates individual patterns of thinking. It is the relationship between the cells and the intensity and absence of colour that provides the meaning. The ColourGrid™ is dynamic and provides a level of meaning contextual to the enquiry being made of it. A ColourGrid™ can be created for an individual, team, a company, a customer or any grouping of people, providing a unique lens to inform engagement. Each ColourGrid™ is formed through a series of questions (3-4 mins in total) via an online survey. 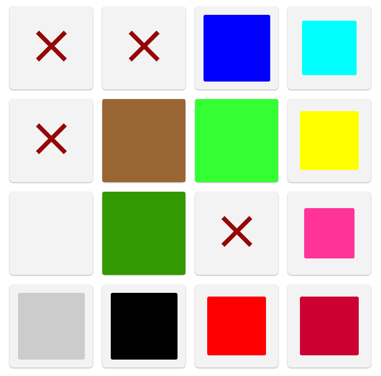 At scale, a ColourGrid™ can be dynamically formed through the integration of people datasets. Gooroo’s Mindspace API is available for integration of this capability with other solutions and platforms. Is ColourGrid™ just another psychometric assessment? No, it’s not. In fact, it can be used independently or as a complement to traditional psychometric tools, such as Birkman, DiSC, LSI, etc. Gooroo offers insights across task/role/career, innovation, culture and decision-making priority not considered by these assessments. 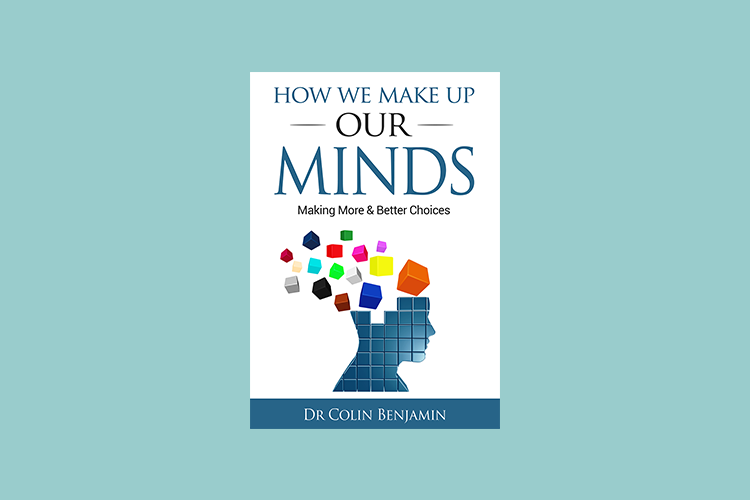 Dr Colin Benjamin OAM, FAICD, MAASW is internationally recognised as a leading Australian polymath and futurist, a global leader in research and future trends, and the creator of strategic thinking tools and validated customer, consumer and community preference scales. Dr Benjamin is the author of Gooroo ColourGrid™, and joined Gooroo in June 2016 as Scientific Advisor. Dr Benjamin developed Gooroo ColourGrid™ over four decades in collaboration with academics in Australia and the US. Dr Benjamin has applied the ColourGrid™ to inform the strategic direction of many major Australian and international enterprises. Dr Benjamin remains as the Chairman of Cultural Infusion and Director General of ‘Life. Be in it.’™, of which Gooroo is a major sponsor. A political scientist at the University of Michigan, director of the World Values Survey, a global network of social scientists who have carried out representative national surveys of the publics of over 80 societies on all six inhabited continents, containing 90 percent of the world's population. Conducted one of the most comprehensive studies on national values, introducing the dimension concept. His most popular book, Cultures and Organizations: Software of the Mind, has been translated into 20 different languages. Emeritus Professor, University of Nebraska, Omaha management and corporate culture research. A Maltese physician, psychologist, author, inventor and consultant. He originated the term lateral thinking, wrote the book Six Thinking Hats and is a proponent of the teaching of thinking as a subject in schools. A social scientist and consumer futurist who worked for SRI International and created a noted psychographic methodology, Values, Attitudes and Lifestyles (VALS). A Dutch-French organizational theorist, management consultant, and author in the field of cross-cultural communication known for the development of Trompenaars' model of national culture differences. An international consultant, mentor and educator for 15 years with a strong focus on the Asia Pacific region. Chief Executive/ President at Roy Morgan Research, co-founder and developer with Dr Colin Benjamin of the Roy Morgan Values Segments and Gordon Head of Gallup International. A British management philosopher, and Senior Research Associate at the Judge Business School at the University of Cambridge. Gooroo ColourGrid™ integrates theoretical models from a wide array of domains, including psychology, neuroscience, market segmentation, politics, economics, organisation-building, training, learning and personality typing. Each body of theory has been vetted and adapted to fit with each of the other theories, creating a cross-domain, integrated platform that works in virtually any field and for a wide array of applications. With globally-sourced cross-cultural data (‘sociographics’) built into its foundations, Gooroo's Mindspace tools work with equal accuracy for employees and organisations from any country or background. Many other systems use an original theory or data that suffer from ‘cultural blindness', or a built-in bias towards the culture or country of origin that does not necessarily translate well to others. In a globalised world, this can lead to significant inaccuracies, assumptions and errors. The Advanced Relational Meaning System (ARMS) replicates the way that brain, mind, and consciousness are integrated to build a frame of reference for how we make decisions, in particular in times of choice and uncertainty. It allows us to establish the sequence and patterns of human thought that generates a meaning and preferred pathway to specific goals and objectives. A patent was lodged in October 2017. Some people embrace change, others avoid it. Some thrive working on the unknown and in environments of high turbulence, others work best where the job doesn’t change much from day to day. And how we make choices is as individual as our fingerprints. Workstyles measure of the six key factors that contribute to the individual’s approach to Innovation, Creativity and Entrepreneurism (ICE). The results highlight workstyle preferences and a person’s approach to growth. Further, it provides insight into the type of work environments that the individual is more aligned to succeeding within. Identifies an individual’s preferences in thinking and decision-making when faced with a choice at a time of change, uncertainty and turbulence. This illuminates where an individual is more comfortable or challenged in certain environments, roles, teams and tasks. Change is happening at a more rapid rate than ever. When we understand change, we can be more effective at managing and leading it. Gooroo’s Mindspace tools provide insights that help individuals lead more successful lives. A strategic tool for understanding an organisation’s culture to achieve its strategic intent. When the culture is aligned to the strategic intent, the organisation is said to be in equilibrium. In this state it can withstand internal and external pressure, creatively respond to change, and adapt to manage ongoing renewal. Gooroo is unique because we combine an understanding of human thinking with advanced technology that generates completely new, actionable insights. Gooroo technology gives our clients and partners access to greater insights, to make more efficient and more precise decisions. Discover your natural strengths and orientation to decision-making. You’ll see your results instantly (no registration required). The Book: "How we make up our Minds"
This book delivers the foundation to the Gooroo ColourGrid™ and provides a new understanding of what is happening in the process of making up our minds.